You may realize the vital role that your septic tank plays for your home, but other than having it inspected every three to five years, you would probably rather not have to think about it. That being said, maintaining your septic system is an ongoing daily task, as it’s important to monitor the waste that you are flushing down the toilet or pouring down the drain. If you’re not careful, there may come a day when your septic tank develops a leak or a crack, and you will be forced to either repair your old tank or have a new one installed. In today’s post, we will give you a brief overview of the different types of septic systems in Florida to help you feel more knowledgeable should you ever need to replace your existing septic system. The last thing you want is to discover that your septic system has a problem, but if that’s the case, you want to hire a septic repair company that you can trust. At Coker Septic, we are proud to provide expert septic tank repair and maintenance for residents of Miramar and the surrounding areas. In addition to residential septic system services, we also offer parking lot drain cleaning along with grease trap cleaning and pumping for local businesses. Whether you need a routine pump-out or you’ve discovered a problem with your septic tank that needs immediate repair, don’t hesitate to contact the experts at Coker Septic today! When you think of a septic system, you’re most likely thinking about a conventional septic tank and drainfield system. This type of system consists of the septic tank that treats the wastewater by breaking down the solids with bacteria, and the drainfield which is used to distribute the wastewater into the soil once it has been treated in the septic tank. Typically, a conventional system is buried under the ground and does not require the use of pipes, as they are gravity fed due to the depth at which they are placed. 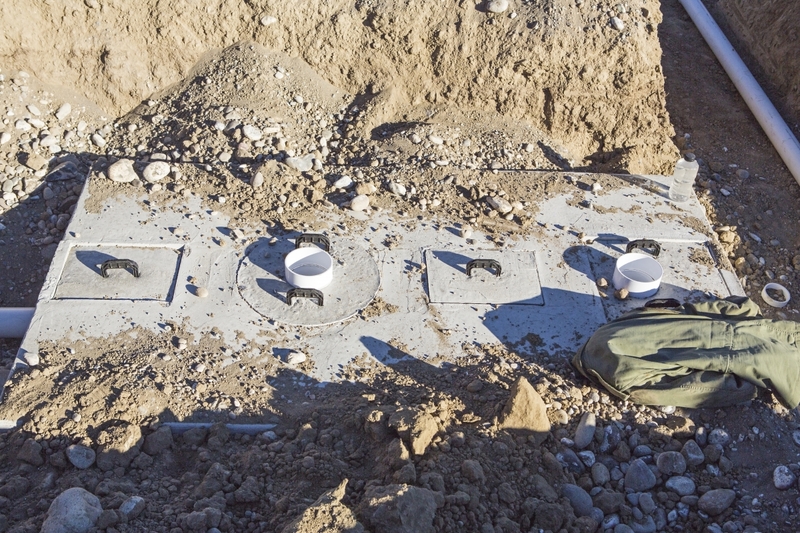 A mound system consists of the same components as a conventional septic tank system. However, depending on the quality of the soil where your septic system is placed, you may be required to create a “mound” system for your septic tank. Mound systems are necessary if the soil or groundwater is below the necessary grade needed for a conventional system. With this type of system, your septic tank is buried slightly more above ground, resulting in a mound of dirt being placed over the top. This pile of dirt can expand to be quite large because it’s important to follow the necessary requirements for the length of the drainfield. In some instances, the mound system can expand to be 18 feet or more in length. The Aerobic Treatment-ATU-Drip Irrigation System is unique because it completely treats the water before it releases it into the ground through a drip-irrigation system. Conventional and mound systems simply break down the solids that enter the tank, while the ATU system uses either an extended aeration or a fixed-film treatment system to produce virtually colorless and odorless effluent, which is the discharged wastewater. Once the water is treated, it is dispersed through ½-inch diameter drip irrigation tubes, much like you would see utilized in landscaping. The benefit of using this type of system is that it recycles 100 percent of the wastewater that leaves your home. If you have a larger home or business, you may be required to install the Low Pressure Pipe-LLP-Septic system. This type of system is similar to the conventional septic system, however, it is used if the square-footage of your drainfield exceeds 1,000 feet. Conventional systems do not require the use of a pipe in the drainfield, but for an LLP system, a PVC pipe is placed in the drainfield to help distribute the effluent evenly. In addition to the pipe, this system also requires a pump that can be installed either above or below ground to help eliminate the effluent from the septic tank. 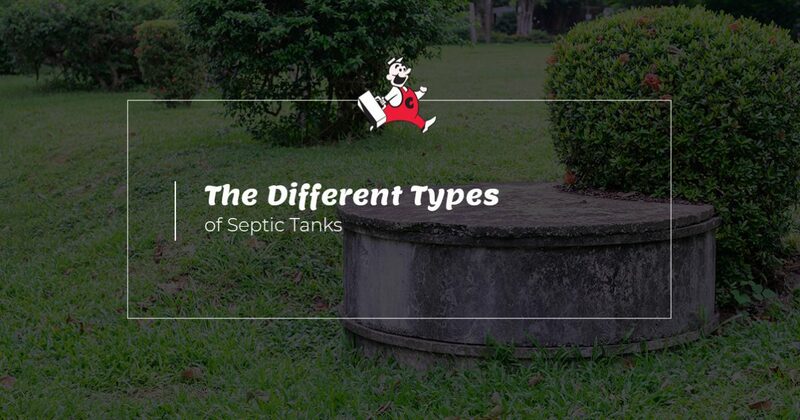 These are just a few of the most common types of septic systems used in Florida. If you have any questions, or you want to know more about which type of septic system is right for you, the experts at Coker Septic are here to help. Our services are available 24 hours a day, seven days a week, so if you’re in need of septic tank repairs, maintenance, or a routine pump-out, look no further than Coker Septic. Give us a call today!